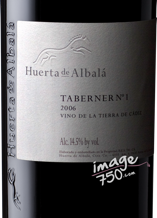 image750 is a dedicated wine bottle photography studio. Bottle shot orders are accepted year-round to accommodate the bottling schedules and marketing needs of our clients in the wine industry. image750 bottle shots are created using top-quality photography equipment and leading-edge digital technologies. We take pride in providing high resolution images that reflect the quality of the product inside the bottle. Customer satisfaction is assured by our online proofing. We enjoy the challenge of different glass containers. Send us your product in any color, shape or sized bottle and we’ll send you back your image750 bottle shot. Custom techniques are employed for shooting bottles that display beautifully reflective raised lettering or cartouche emblems in relief. Labels that are textured, embossed or have highly reflective foil also present special challenges. To deliver a representative shot, certain features may need to take precedence. Let us know what is most important in your bottle shots. Our goal is to support your marketing efforts by making your product look as good as possible. With your instructions and feedback we can customize shots to your specifications. For over 30 years, Jennifer and Erick Wand have owned and operated Graphics by Erick, a full-service graphic design firm. Their expertise in graphic arts and printing are blended with photography to create high-quality wine bottle portraits for print and online design projects. Understanding how the resulting images will be used is an important part of the photographer’s job. Different types of images are used in different workflows. We speak the same language as your graphic designer, your printer, and your webmaster. We can help translate that for you, if needed. It’s all part of the image750 service. Winemakers understand the subtle differences between a good wine and a great wine. We take pride in helping to reinforce the quality inside your bottle, by highlighting all the subtle details outside. Click image to view detail of branding in bottle relief, embossed label and paper texture - representative of all image750 bottle shots.